So happy to share that my mixed media painting, "Color Me Gorgeous," has a new home! 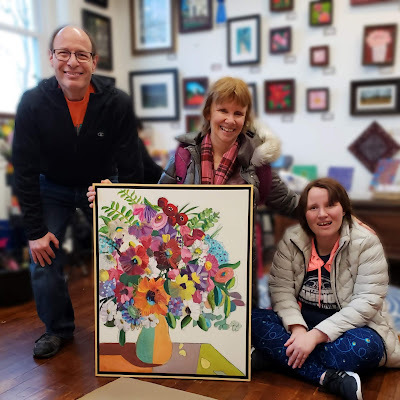 This wonderful family started their collection with one of my floral minis, and now own a yummy 24" x 30" mixed media floral bursting with color and feelings of happiness! The owners will be hanging their painting in their master bedroom. You can see all floral paintings HERE.